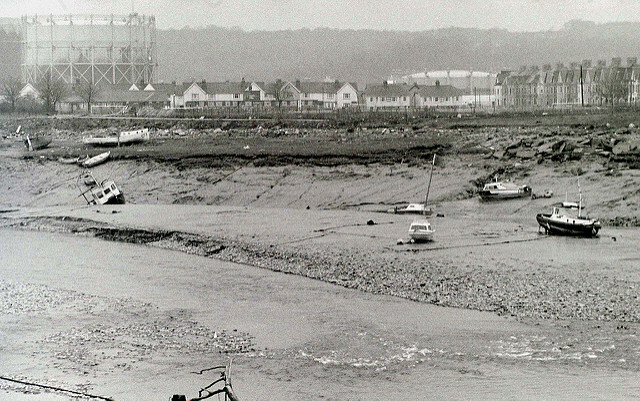 Tiger Bay – now reborn as Cardiff Bay. I had been planning to make the journey to Cardiff some time ago. The principal reason had been to watch Latics in the hope that their luck would turn, but if it didn’t there would at least be the solace of being able to visit Tiger Bay. As a small kid I had actually been to watch a couple of rugby games before becoming taken over by a constant need to visit Springfield Park and watch non-league football. But at one of those rugby games I saw Danny Wilson tear the home team apart. I heard that, like the man on the right wing of the other team that day, and a famous woman singer, he was from the rough port area of Cardiff known as Tiger Bay. In the event I was to be lucky on both counts. A superb counterattack had seen Jordi Gomez notch an opportunist goal and send the away support into a mixture of shock and rapture. It had looked like if anybody was going to score, it would be the home team. Despite having the edge on possession, Latics had not posed much attacking threat until the 86th minute when that happened. Although the arrival of Neil Warnock had brought two wins and a draw in the last three matches to lift them out of the relegation zone, the sparse home crowd was muted from the start. Latics dominated the first ten minutes, only to later look vulnerable to well-flighted crosses coming in from the wings. As the game progressed I had the uncomfortable feeling that the Wigan defence would eventually cave in to the pressure as they had notably at both Bristol and Nottingham. But thanks to a solid and resilient rearguard action and a profligate approach by the Cardiff attack they were to hold out for a much needed win. When Gary Caldwell signed Jordi Gomez it looked like the Catalan’s flair and goalscoring capabilities were going to be invaluable. But in recent matches Gomez had not made the starting lineup. Perhaps Caldwell, like many of us, did not think that the Catalan and Nick Powell could share the midfield. But Powell was injured yesterday, giving Graham Barrow an easy choice to make. But until that goal Gomez had not looked at his sharpest. However, he was to do what so many midfielders have done much too little of this season, by getting into the box to support the attack. The timing of his run was superb. There had been speculation among some travelling fans as to whether we would see something different following Gary Caldwell’s premature departure from the club. But the pundits said that Barrow was a rock upon which the possession-style football had been built, not only in Caldwell’s day, but also under Roberto Martinez. In the event it was the same kind of football that we have seen for the past couple of months, the only difference being that this time around Latics were to win. That win was long overdue and we can only speculate that if the tide of fortune had turned into Wigan’s favour a week ago against Brighton then Caldwell would still be with us. It has been a frustrating season, but Latics’ performances have not been abject. There had been so many games of fine margins where Latics could have won with a tad more luck on their side. Would that tide of fortune have eventually turned for Caldwell as it did for Barrow yesterday? David Sharpe was certainly precipitous in dismissing his protégé so early in the season. With so many new faces it was always going to take time for the team to gel. The lack of a consistent back line was a particular problem. But yesterday the central defensive pairing of Dan Burn and Jake Buxton continued its steady improvement, looking strong throughout. Stephen Warnock has probably been Wigan’s best performer so far this season and he was excellent again yesterday. Moreover Reece Burke was to put in a good performance in the problematic right back position. One swallow does not make a summer, but the win at Cardiff will provide a good platform for a new manager to build upon. Caldwell’s squad cannot compete with the best in the division, but it is at least good enough to get a mid-table berth. But who will that new manager be? Strangely enough Danny Wilson’s son was the glamorous early front runner for the job. But was Ryan Giggs really willing to take a position with Latics and would Sharpe have been able to offer him the kind of terms he would expect? Since then the list of candidates touted for the position has been decidedly underwhelming. The latest bookmaker’s odds favour Manchester United development squad coach, Warren Joyce, who has no prior experience of managing a club in England. Neverthelss he has a fine record as a coach in developing young players. Should Joyce be appointed he will need the support of the fans. Tiger Bay had a reputation as a tough and dangerous area before its renovation. The names of Wilson, Boston and Bassey are now echoes of its past. Under its new name of Cardiff Bay, it is now a major tourist attraction in a city that has been rejuvenated from its past as a coal and iron and steel exporting port. Will the rejuvenation of Wigan Athletic now begin too? After five managers in three years and continued turnover of playing staff the club is in need of stability. When Sharpe appointed Caldwell the ten year combined reign of Paul Jewell and Roberto Martinez looked like a blueprint for the future. That was until the young chairman shot from the hip and cut down the Scot. Sharpe’s grandfather made some of the best managerial appointments in the club’s history in Jewell and Martinez. He also made arguably the worst in Owen Coyle and Malky Mackay, neither of whom showed a love of good football. Let’s hope that Sharpe can rectify his unfortunate and hasty decision to dismiss a manager who had brought a divisional title to the club just six months before. Put simply he needs not only to choose the right person for the job, but to offer him more longevity than Caldwell received. The win at Cardiff was a great relief, but there are still choppy waters ahead. Having the right leader at the helm is crucial.